It’s the healthy competition in business world which helps you raise the standard of your processes. And when it comes to call center business, examining the business of other players in the market definitely helps in making the business more efficient by streamlining multiple processes. Competitive analysis is basically defined as a process of examining the strengths and weaknesses of the competitors in the market and comparing them with your own services or company. The call center market is filled with multiple small and big players which are always active to modify their processes as per the changing needs. So, competitive analysis becomes inevitable to survive and thrive in call center world. • What type of call center services are offered by them? • What is the market share of every competitor? • What are the weaknesses and strengths of each competitor? • What technology is utilized by each competitor? • What market threats are posed by the competitors on you? Normally, performing the SWOT analysis is an integral part of competitive analysis in which strengths, weaknesses, opportunities and threats of all the competitors are prepared. This helps in giving insights of the competitor’s business in a structured manner. Let’s take an example of a hypothetical firm ‘Welcome Call Center,’ a New Jersey-based call center service provider. After its SWOT analysis following were the results. Just like this example, you can perform SWOT analysis of every competitor from your domain which helps in effective competitive analysis. Normally, a thorough competitive analysis might be difficult to perform if the company lacks the knowledge required for the same. In this scenario, the call center firm can take support of external agencies which offer competitive analysis. These external agencies have hired management experts, statisticians and researchers which are well-versed in performing analysis of your competitors. By analyzing the competitors, one can identify what technologies are being utilized by other companies in the market for their call center process. This will help the company in recognizing minimum technological requirements which are needed to survive in the market. The companies can analyze marketing strategies which give an idea of marketing channels focused by competitors like online advertising, cold calling and social media presence etc. Also, it will help in examining which marketing channels are missed by the competitors. These channels can become an opportunity to reach the target clients. Culture of the company creates a huge impact on employees but there is need of proper balance between and fun and work to ensure optimum productivity especially in call center which is an employee-oriented sector. Examining the culture of other call centers will definitely help the company to modify its own for smooth running of both voice and non-voice process. Having a wrong assumptions related to the competitors can result in developing strategies which are not feasible for the company. This will ultimately lead to wastage of resources, money and energy. Also, the final result will not be as per the expectations. Therefore, competitive analysis is a must to avoid any false assumptions. 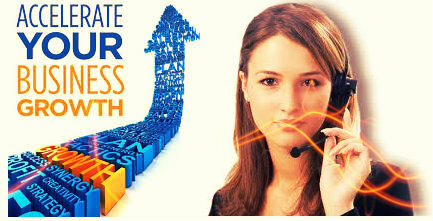 Whenever a call center company plans to start a new service in the company, then performing the competitive analysis will help in examining if strategies used for launching the service are up to the mark or not. Also, studying the business of competitor will help in marketing the new service in much more efficient manner. Just like strategic planning of every business type in the world, firms in Call Center Industry also need a robust competitive analytics to remain ahead of the pack.